The Peruvian community will gather together to show their heritage, with traditional music and dance from the coast, jungle, and mountains, our well known cuisine, our talents and hospitality. 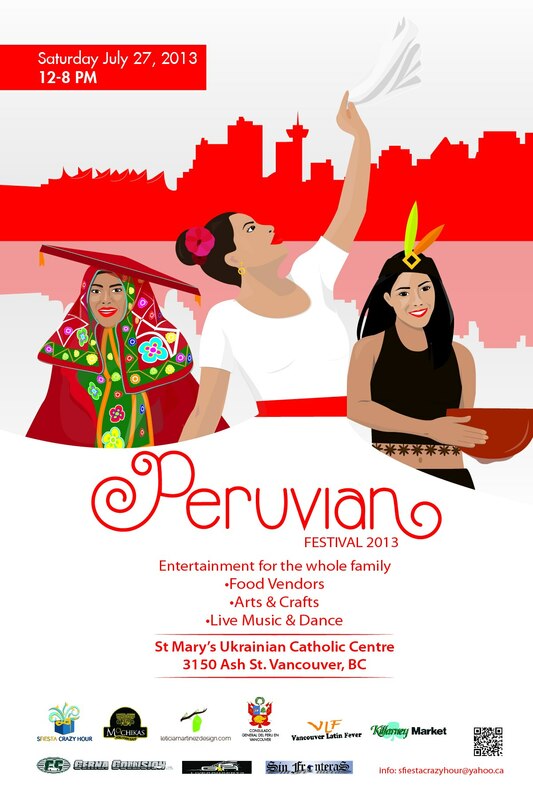 A taste of Peru in Vancouver: come and join us on Saturday July 27, 2013! Bring your family and friends entertainment for the whole family.